With almost 30 years industry experience and being rated the best in Bristol for customer satisfaction, we are so confident in the quality of our products and services that we offer a 10 year guarantee and 10 year security pledge to give you extra peace of mind. We offer free no-obligation quotes and we beat any like for like quote to ensure you get the best deals around. A small deposit is all we require for work to commence and with our flexible finance options, it has never been easier to make home improvements. There’s no pressure when you shop for a new conservatory or replacement windows and doors. Discuss your requirements in detail with our designer and we’ll finalise your design on computer and produce your free no obligation quotation. 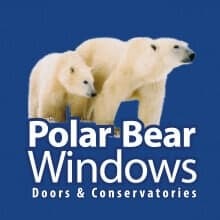 A professional Polar Bear Windows surveyor will visit the site of your project to thoroughly check all measurements and identify any problems that could effect a smooth installation. Sit back and relax whilst our experienced team arrange any planning applications or building regulations that may be required. Our in-house department handles all necessary building work for your installation, such as base preparation for your conservatory (digging out foundations and laying concrete), or enlarging an opening and fitting a lintel for your window or doors. You won’t have to worry about finding a plasterer, electrician, plumber or ceramic floor tiler – they’re all part of Polar Bear Windows’ team.